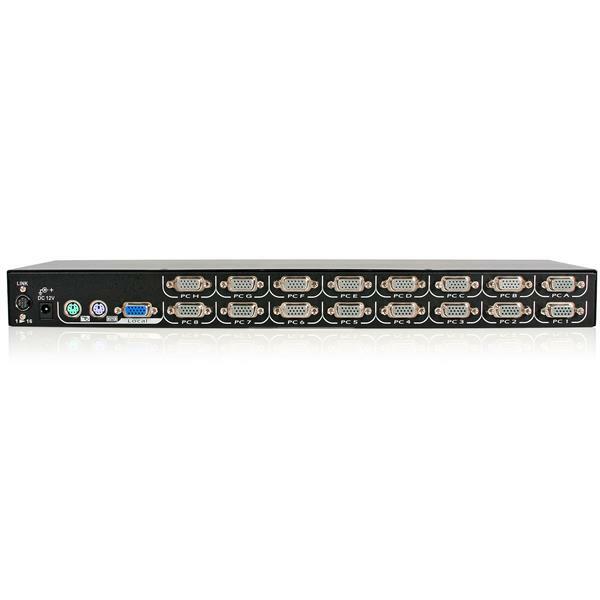 This 16-port KVM module works with the StarTech.com series of rack-mounted LCD consoles, enabling you to control sixteen servers from one location. You can upgrade a single port LCD console or replace a faulty console (see our list of compatible LCD consoles below). With independent VGA and PS/2 keyboard and mouse ports, you can also use this switch as a standalone KVM, creating a discreet rack-mountable KVM solution. 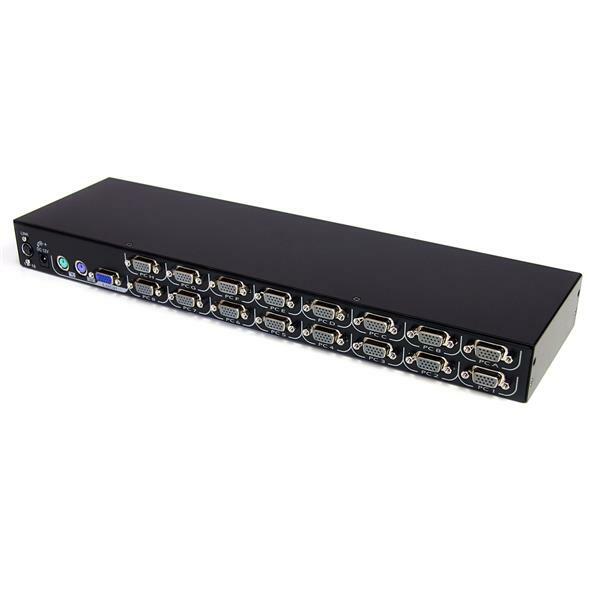 By adding this KVM module to your rack mount LCD console you can control sixteen individual computers or servers from a centralized location. Because the KVM module works with your existing LCD console, you can ensure simple integration into your server room setup. 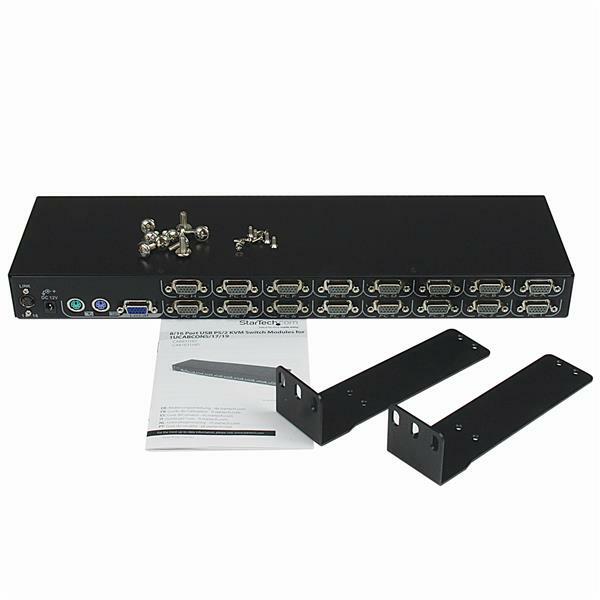 To ensure compatibility this KVM module supports any operating system has been extensively tested in Windows®, Mac and Linux environments. You can also connect to both PS/2 and USB servers using StarTech.com’s convenient line of interface specific KVM cables. The cables come in variety of lengths with PS/2 or USB depending on your specific server requirements. The CAB1631HD is TAA compliant and backed by a 2-year StarTech.com warranty with free lifetime technical support.